Administration from the University of North Florida in Jacksonville, Florida in 1980 and his Doctorate in Theology from International Theological Seminary in Bradenton, Florida in 2005. Pastor William was a higher education administrator at the University of North Florida until 1991 and was a diversity consultant and instructor for the Institutes of Government for the University of South Florida, Florida Atlantic University, Edison Community College and Manatee Community College. For twelve years he was the executive director for the Bradenton Housing Authority and co-developer of the Bradenton Village redevelopment a 60 million dollar project that has transformed three local communities. He and Barbara have three (3) children, William Jr., Wenston (Alicia) and Marjani Jones (Letherio, Sr.), five (5) grandchildren and a ministry of many sons and daughters. to hearing Him say WELL DONE!" Dr. Barbara R. DeSue, the only daughter of Bennie A. Richardson (deceased) and Ruby Fields Richardson of Bradenton, Florida, was born in Bradenton, Florida. She attended elementary school and graduated high school in Manatee County. 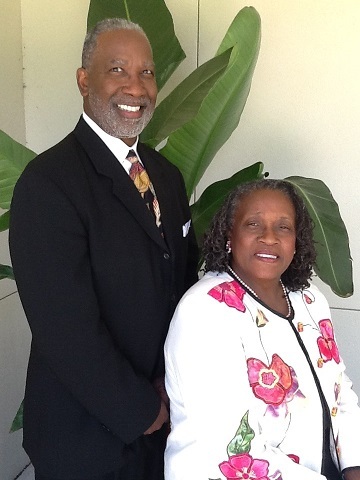 She and her husband, Dr. William B. DeSue, Sr., are the founding pastors of Increasing Joy Ministries, Inc. located in Palmetto, Florida. Dr. DeSue received Christ as her personal Savior on February 20, 1979 and was ordained a minister of the Gospel of the Lord Jesus Christ in April 1986. Dr. DeSue received a Bachelor of Arts Degree in Education from Florida Memorial College, Miami, Florida in 1970, a Master of Education from the University of Florida, Gainesville, Florida in 1974 and a Doctorate in Theology from International Theological Seminary Bradenton, Florida in 2005. She was an educator for thirty years serving as a classroom teacher and an administrator in both Duval and Manatee County Schools. Her impact in the lives of her students is applauded by students and coworkers alike. She and William have three (3) children, William Jr., Wenston (Alicia) and Marjani Jones (Letherio, Sr.), five (5) grandchildren and a ministry of many sons and daughters.